A father’s exposure to nicotine may cause cognitive deficits in his children and even grandchildren, according to a study in mice publishing on October 16 in the open-access journal PLOS Biology by Pradeep Bhide of Florida State University in Tallahassee and colleagues. 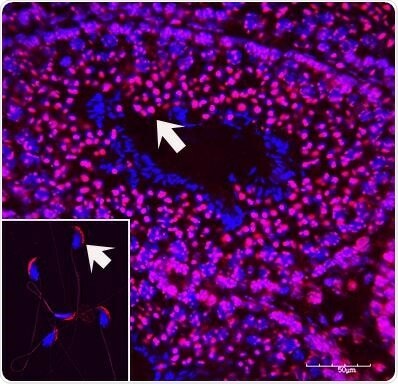 The effect, which was not caused by direct secondhand exposure, may be due to epigenetic changes in key genes in the father’s sperm. Exposure of mothers to nicotine and other components of cigarette smoke is recognized as a significant risk factor for behavioral disorders, including attention deficit hyperactivity disorder, (or ADHD) in multiple generations of descendants. Whether the same applies to fathers has been less clear, in part because in human studies it has been difficult to separate genetic factors (such as a genetic predisposition to ADHD) from environmental factors, such as direct exposure to cigarette smoke. To overcome this difficulty, Deirdre McCarthy, Pradeep Bhide and colleagues exposed male mice to low-dose nicotine in their drinking water during the stage of life in which the mice produce sperm. They then bred these mice with females that had never been exposed to nicotine. While the fathers were behaviorally normal, both sexes of offspring displayed hyperactivity, attention deficit, and cognitive inflexibility. When female (but not male) mice from this generation were bred with nicotine-naïve mates, male offspring displayed fewer, but still significant, deficits in cognitive flexibility. Analysis of spermatozoa from the original nicotine-exposed males indicated that promoter regions of multiple genes had been epigenetically modified, including the dopamine D2 gene, critical for brain development and learning, suggesting that these modifications likely contributed to the cognitive deficits in the descendants.